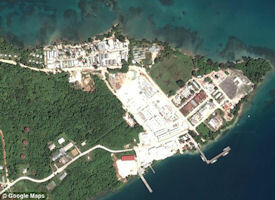 The United States will join Australia in expanding the Lombrum Naval Base on Papua New Guinea's Manus Island. US vice-president Mike Pence made the announcement 18 November 2018 at the APEC leader's summit in PNG's capital Port Moresby. Pence, who is representing his country at APEC in the absense of President Donald Trump, used his speech today to assert US partnership with Pacific Islands and other allies in the wider region. Without elaborating on details, he confirmed the US would partner with Papua New Guinea and Australia on a joint naval base on PNG's northern island. Pence said "We’re also forging new and renewed security partnerships, as shown by our recent trilateral naval exercises with India and Japan. And today, it’s my privilege to announce that the United States will partner with Papua New Guinea and Australia on their joint initiative at Lombrum Naval Base on Manus Island. (Applause.) We will work with these nations to protect sovereignty and maritime rights of the Pacific Islands as well." This built on the plan to re-develop Manus' Lombrum site as a base for Australian vessels, and joint acivities with PNG, including maritime patrolling, as revealed by Canberra and Port Moresby in recent weeks. Defence Minister Christopher Pyne said that Australian vessels will probably be based permanently at Lombrum under the deal. 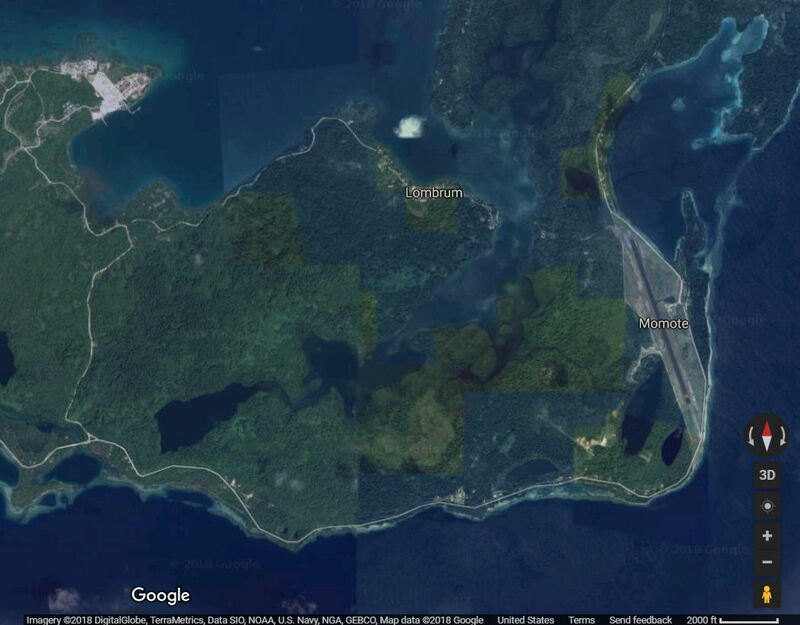 The plan could yet face a challenge as the Manus Governor warned he could obstruct the naval base project if his province wasn't consulted properly. The move came as the US, China and Australia vied for influence in PNG and the Pacific. The Manus base would push American forces further south into the Pacific than they had been in decades. "It brings the US a lot closer to the South China Sea but I think it's also a significant pushback for China's strategic ambitions in the Pacific region," said Jonathan Pryke from the Lowy Institute. HMPNGS Tarangau is the PNGDF patrol boat base. 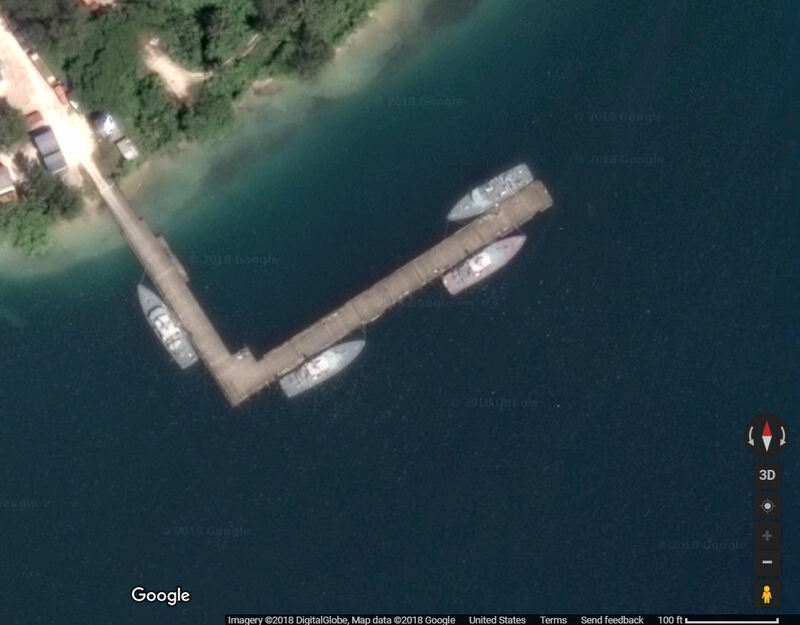 All PNGDF Patrol Boats are under the administrative control of the Commanding Officer of HMPNGS Tarangau. The Commanding officer may without reference to HQ PNGDF, assume operational control of Patrol Boats for local operations within the ADMIRALTY ISLANDS (e.g. SAR tasks or training tasks within the framework of the approved program). To ensure that all Patrol Boats of the PNGDF and allocated support craft are ready in all respects to meet their operational commitment. To provide for local administration with the Lombrum area. To conduct; Seamen specialist training, pre sea and continuation training; and on the job training for tradesman allocated to the Maritime discipline. To provide for on the spot replacement of Patrol Boat crewmen in conjunction with HQ PNGDF. To provide technical support for Patrol Boats up to and including Assisted Maintenance Periods (AMPs) and maintain a capacity for replacement of major components as required. To control technical administration of Patrol Boats for all aspects including preparation of main defect lists and conduct of Planned Maintenance. The Australian-run immigration facility on Manus had been used to hold unauthorized migrants caught trying to reach Australia by boat. 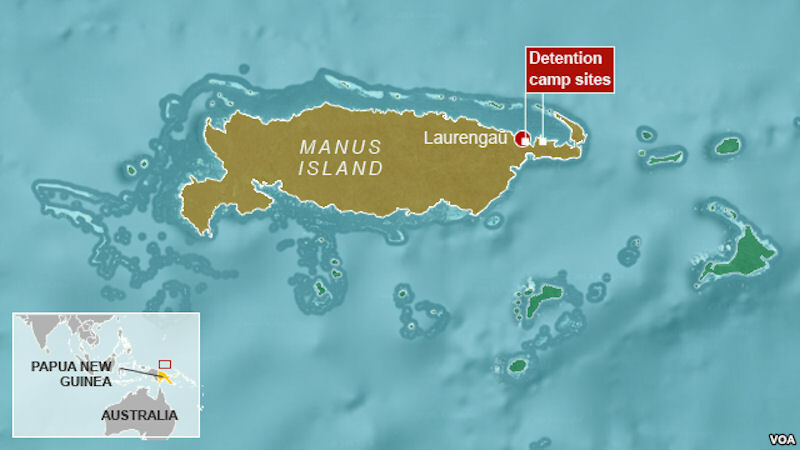 Australian officials defended the camps, insisting they save lives because they are deterrents and had stopped asylum seekers risking their lives at sea trying to reach Australian territory. Canberra argued that offshore processing was a powerful deterrent for migrants risking their lives at sea, often trying to make the journey on rickety fishing boats from Indonesia. The flow of migrant boats arriving in Australia’s territorial waters had stopped. In April 2016 the Manus Island center was declared unconstitutional and illegal by Papua New Guinea’s Supreme Court, and will close, according to the country’s prime minister, Peter O’Neill. The camp on Manus Island closed in October 2017 after local judges ruled it unconstitutional because of the poor conditions at the camp. The US founded the base during World War II, and it was later used by Australian naval ships to resupply in the 1950s and 1960s. The US-built base includes wharves and a 9,000-foot runway. Though the base was later taken over by Australia, it was ultimately given to Papua New Guinea after it became an independent nation in 1975. Manus and Los Negros comprise the major islands of the Admiralty group, which includes some 160 small islands and atolls and three first class harbors. Manus, about 50 miles long and 15 miles wide, is the largest island of the group. The terrain, which rises to a maximum elevation of 3,000 feet near the center of the island, is of volcanic origin, principally basalt, which weathers to a thick, reddish, clayey gumbo.Seeadler Harbor, one of the largest and best in the Southwest Pacific, lies within the ellipse formed by Manus, the curving shore of adjoining Los Negros, and the reef-bound islands to the north. Its protected waters are capable of accommodating a large fleet of capital ships. Los Negros, roughly crescent in shape, is separated from the much-larger Manus by a narrow passage. The island is low and, for the most part, swampy, with coral just below the topsoil. The maritime corridor between Guam to the north and Manus to the south was used by the Japanese in World War Two to reach the Pacific. By March 1944, the greater part of the Japanese combat strength on Los Negros, if not throughout the Admiralties, had been dissipated. On 08 March 1944 supplies for the 2d Squadron, 7th Cavalry's attack on Lombrum Plantation began arriving at Red Beach over the difficult road from Momote. More supplies were dropped from B-24's. The squadron was issued 2 days' rations, water, and ammunition and ordered to move across Seeadler Harbor and secure a beachhead on Lombrum Point. They were transported on LCM's (Landing Craft, Mechanized), towed to Hyane by the LST's on 2 March. H Hour was 1420. There was some sporadic fire as the troops hit the beach where two Japanese were killed, but by 1430 Troops E, F, and G had established a perimeter about 100 yards in depth. Patrols sent out immediately encountered no Japanese, and it was the opinion of the commander of the first wave that the Japanese had not occupied the area in strength for some time. By 1700 the perimeter was extended to take advantage of adjacent terrain, and all defensive installations were completed. Abandoned enemy equipment here - gas, oil, and bomb dumps - indicated further disintegration of the enemy strength on Los Negros. After the 12th Cavalry had cleared out the northern area west to Loniu Passage, the entire regiment reassembled at Lombrum Point on 29-30 March. Here the troops cleaned clothing, equipment, and arms and relaxed on the excellent beach. 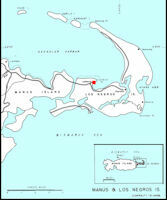 A major naval and air base, capable of service, supply, and repair to forces afloat, air forces, and other Allied units in the forward area, was established early in 1944, at Manus, in the Admiralty Islands, about 300 miles north of Lae, New Guinea, and, apart from the St. Matthias group, the northernmost group of island in the Southwest Pacific area. 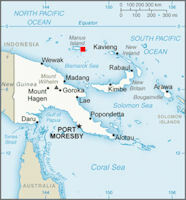 Manus lay close to the enemy line of communication between Truk and Rabaul, and also near the route between Kavieng and Wewak. 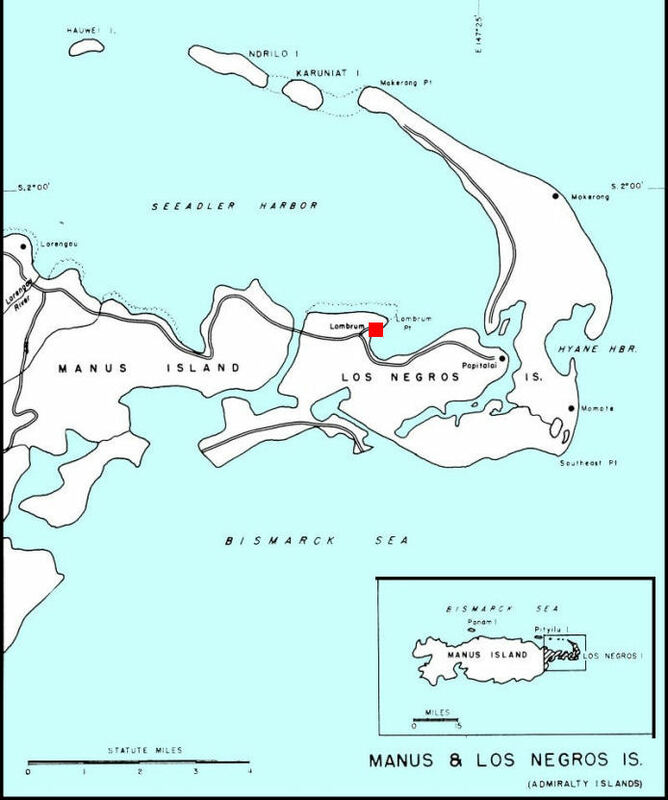 In April 1944, two locations on Los Negros were selected for development, one at Papitalai Point and one at Lombrum Point. 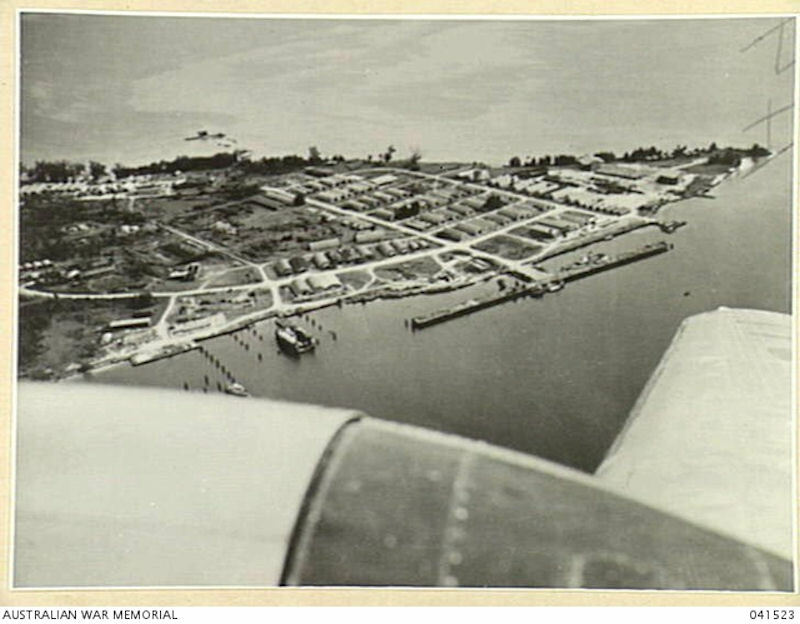 The 11th Battalion was the first unit to land at Lombrum Point, on April 17, 1944. 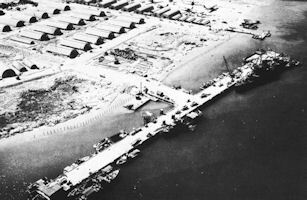 A permanent camp was set up and work begun on three main projects - a seaplane repair base, a ship repair base, and a landing-craft repair base. For the landing-craft repair base, the Seabees erected six warehouses and shops, two quonset huts for administration buildings, and frame quarters and messing facilities, with all camp utilities. A 250-ton pontoon drydock was provided for docking LCT's, LSM's, and smaller landing craft. Facilities at the ship-repair base combined docking, repair, and supply services equivalent to those furnished by auxiliary ships. Docking equipment consisted of a 100,000-ton sectional dock capable of handling battleships, a 70,000-ton sectional dock capable of handling most major ships, and an 18,000-ton steel floating dock. The seaplane base at Lombrum Point was established to furnish operational, service, and repair facilities. Installations included a 50-by-250-foot concrete seaplane ramp, one steel nose hangar with a concrete deck, an 8,000-barrel aviation-gasoline tank farm, a pontoon pier for small boats, four 40-by-100-foot prefabricated shops, quonset-hut shops, and camp facilities. As of mid-1984 the Papua New Guinea Defense Force naval component was comprised of one patrol squadron on Manus Island and one landing squadron at Port Moresby. It had 75 personnel and four large patrol and three landing craft. Plans released in late 1983 called for the base at Lombrum to be scaled down and the patrol squadron relocated to Port Moresby. 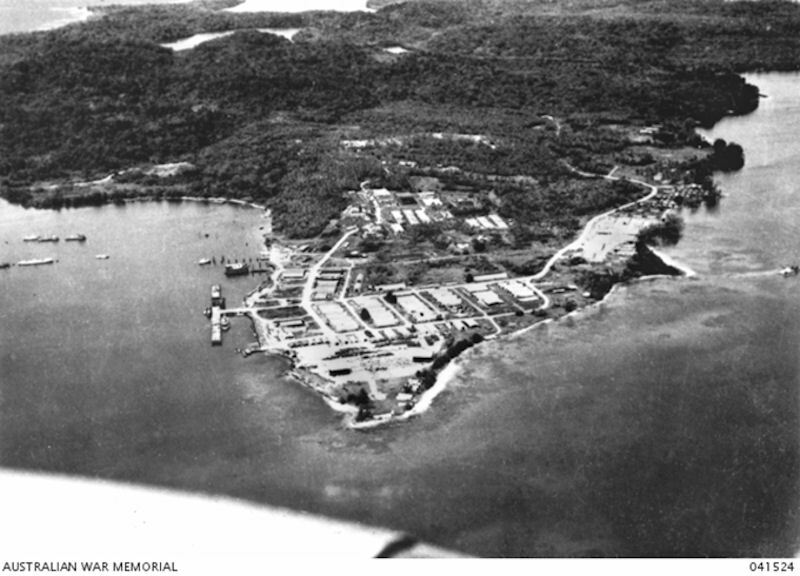 Lombrum, along with Wewak and Kieta, would become a forward operating base. Beijing has been showering billions of dollars in infrastructure loans - Debt-trap diplomacy - to tiny nations across the Pacific, a region strategically important as a maritime gateway to Asia. China has showered small nations such as Vanuatu, Tonga and the Solomon Islands with concessional loans. China wants a 'buffer zone' between itself and the US. 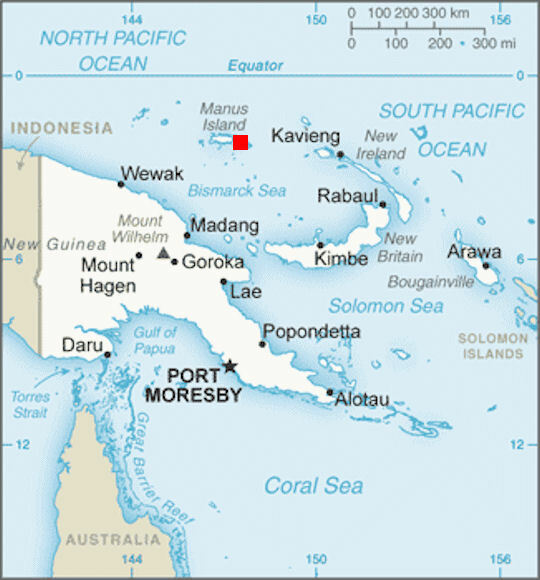 Papua New Guinea, and the island of Manus, is at the lower end of the "Second Island Chain". The Manus Island naval base plan followed reports China had approached Vanuatu about the possibility of opening a military base there. China had been helping Papua New Guinea’s government develop infrastructure, and the Australian government reportedly worried that Beijing might finance a new port on Manus Island. Chinese President Xi Jinping made a full state visit to Papua New Guinea two days before the upcoming Asia-Pacific Economic Cooperation (APEC) meeting in Papua New Guinea’s capital of Port Moresby. The week-long APEC summit will began on November 12. Australia's 2016 Defence White Paper made the situation pretty clear: "Australia cannot be secure if our immediate neighbourhood including Papua New Guinea, Timor-Leste and Pacific Island Countries becomes a source of threat to Australia. This includes the threat of a foreign military power seeking influence in ways that could challenge the security of our maritime approaches or transnational crime targeting Australian interests …"
Generally, the Melanesian states had been Australia's area of responsibility while the US and New Zealand watched over the Polynesian islands. An Australian presence in Manus meant it would patrol the northern coastal region of PNG. This move placed Papua New Guinea in the center of the global great game between China and America and its allies. Australia will let its warships make port visits to Papua New Guinea’s base on Manus Island reportedly in order to increase Canberra’s strategic influence in the region. Australian Prime Minister Scott Morrison said on 02 Novemvber 2018 that he had signed an agreement with Papua New Guinea Prime Minister Peter O’Neill that will see the two countries work together to jointly redevelop the naval base at Lombrum, Manus Island. Australia is likely to pay the majority of the project’s costs. Morrison also added that cooperating to upgrade the Lombrum base would provide “strong partnership with the PNG national government” and more economic opportunities for Manus Island residents. The base would host more patrol vessels for both Australia and Papua New Guinea, which could be used in the joint exercises and operations. However, it was initially unknown whether larger vessels, such as Australia's frigates, will also be able to dock at the base. If so, the Lombrum base would allow them to access the Pacific Ocean more easily. Australia had already shelled out some $5 million to upgrade a wharf at the base. The funding is in addition four patrol boats that were expected to be given to Papua New Guinea. The joint project with the US could be a sign that the Trump administration’s focus on “a new, competitive policy toward China in the Indo-Pacific isn’t just rhetoric — it’s the real thing,” Philipp Ivanov, head of the Asia Society’s Australian branch, said in an interview in Papua New Guinea. “This could be positive for the region, but the US has to ensure its commitment goes beyond the military component and into helping develop trade and infrastructure,” he added. The joint naval base, which may house US warships at a later time, is being considered as a strategic asset to pre-empt China from scooping up "an important piece of real estate," according to military website Stars And Stripes. If and when US vessels do become a factor at Lombrum, it has been suggested that the facility could be used to support amphibious operations being carried out by the US Marines. US defense analyst Paul Buchanan told the publication 26 October 2018 that the naval base could easily be used as a means of keeping an eye on China and tracking its submarines, which could soon see a increase in numbers.